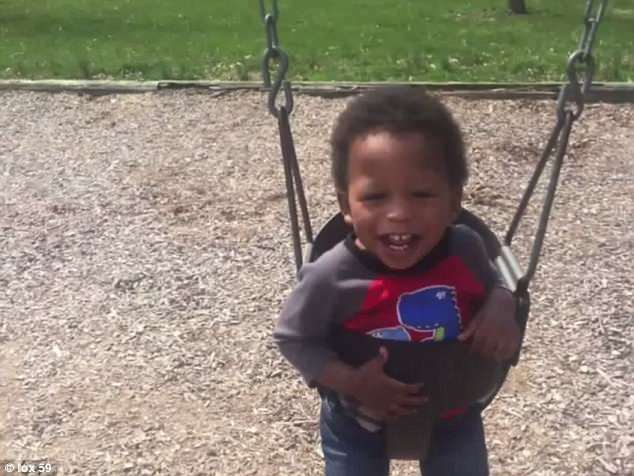 Jesse Harris IV toddler assaulted at Indianapolis daycare center. 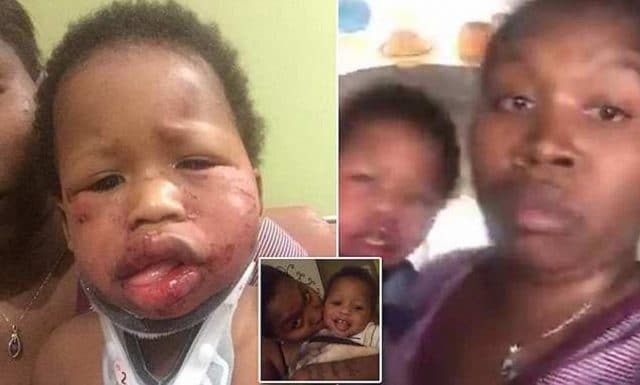 Pictured Indiana mother, Tiffany Griffin and her one year old son, Jesse Harris IV who sustained severe injuries at Kiddie Garden daycare in Indianapolis. 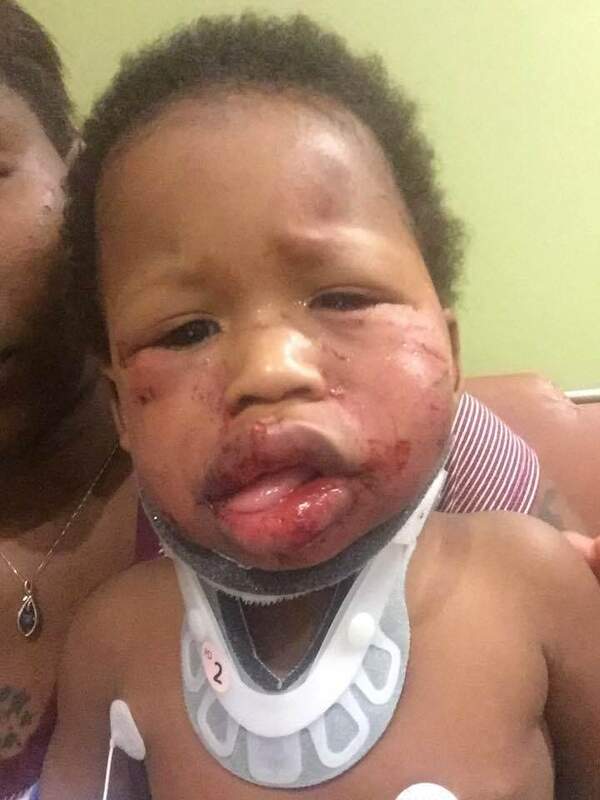 Jesse Harris IV a one year old toddler is viciously assaulted at a local Indianapolis daycare center as the boy’s mother, Tiffany Griffin now demands to know who and why did this. Disconcert has come to the fore after it was revealed one year old Indiana boy, Jesse Harris IV being savagely beaten at a local daycare center. The incident which happened Monday led to the toddler incurring a swollen and bloody face, cuts to his face and both eyes and hospitalized. So outraged was the boy’s mother, Tiffany Griffin, that the woman punched an employee at the Kiddie Garden daycare in Indianapolis. Fox 59 reported Griffin saying she was called to return to the daycare center just hours after dropping off Jesse and her older son where she was told a two-year-old girl had hurt Jesse. 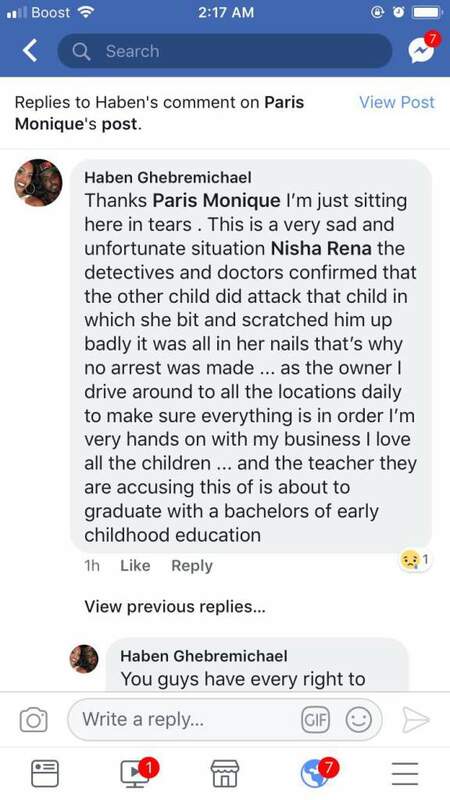 Haben Ghebremichael, the owner of Kiddie Garden, claims that the girl had blood on her hands after the attack. Ghebremichel said it wasn’t uncommon for the girl to act out, while conceding, ‘the extent of the injuries just blows our minds’. Upon arriving at the daycare center, Griffin filmed a Facebook Live video to show the extent of her son’s injuries. Despite the center’s insistence that a fellow toddler assaulted her son, Griffin refuses to believe the two year old was capable or responsible for her son’s injuries. 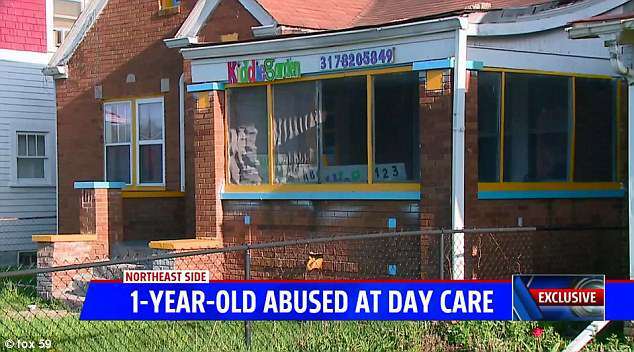 Pictured the Kiddie Garden daycare in Indianapolis where Jesse Harris IV was assaulted. Haben Ghebremichael social media post. Police now lists the 22-year-old female employee that Griffin admitted to initially punching following her shock surprise at her son’s assault as a suspect. Kiddie Garden has revealed the worker since been fired. ‘We are deeply saddened about what took place yesterday afternoon to Jesse,’ a statement from Ghebremichel read on Tuesday. Ghebremichel said the center has been ‘diligently working with law enforcement, child protective services, as well as state agencies’ following the incident. ‘We have been fully cooperative and transparent with law enforcement to complete their investigation,’ she added. The police have yet to arrest or change anyone. The name of the suspect has yet to be publicly released, nor the degree of her expertise and prior history dealing with children. That said social media commentary has revealed the 22 year old woman since fired as Nyat Adhanom who Ghebremichael, as being equipped with a bachelor of early education. Reiterated Griffin, ‘It was negligence, any way it goes. It was child abuse, anyway it goes. If it was me or [his father], we would be arrested. So, I think it should be a full investigation, and they should do something about it’. Of note, Fox 59 reported the daycare center last inspected in October 2017. Griffin said the incident has made her question whether she can ever leave her baby in the care of others again. Not necessarily clear is whether the boy’s abuse was the first of its kind or if there had been other instances of child abuse at the child center?